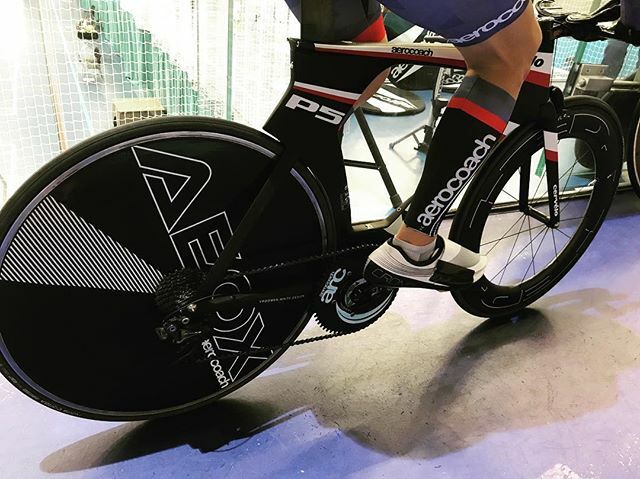 Aereocoach aerodynamics testing sessions take place at an indoor velodrome, where you and the aero analyst work together to find the optimum mix of aerodynamics, comfort and power output. While you ride laps on the track, we'll be remotely monitoring the data from your power meter in real time to determine your key aerodynamic performance indicator: Coefficient of drag Area (CdA). We do this with the Track Aero System powered by our technology partner Alphamantis. All you need do is to ride - it's that simple! You can test on your time trial, triathlon, road or track bike. All it requires is your bike be fitted with a suitable power meter. SRM, Quarq, Powertap, Power2Max, Garmin Vector are just some of the power meters we can use in testing. Any meter using ANT+ data transmission protocols will be compatible. If in any doubt, just ask! During the session we'll provide immediate feedback on the aerodynamic impact of each set up as well as discuss how it feels to ride the bike in the changed position. These interim results will help guide the testing options we recommend. Mechanical support will be on hand for making set up changes as quickly as possible so we maximise the time spent collecting data. Some changes do take longer than others, and if your bike requires special tools or parts, please bring them along. TEST DIFFERENT POSITIONS & EQUIPMENT OPTIONS. After establishing your baseline aero performance data with initial test runs, we'll then make progressive changes to your set up, which might be a positional change or a change to your equipment, and conduct further test runs to compare the CdA values for each in our hunt for speed gains. You may have specific things you wish to test, or leave it to us to advise you on the way forward. Apart from the myriad of positional options that are possible, we can test equipment such as helmets, skinsuits, wheels and shoe covers. Following the testing session we validate and consolidate all of the testing data and send you a report with the results for each set up, along with what that means in terms of expected speed gains and time saving for your target events at your power level. Here's a video to introduce how the Amphamantis Track Aero System works and what your aero analyst sees while you are riding on the track.